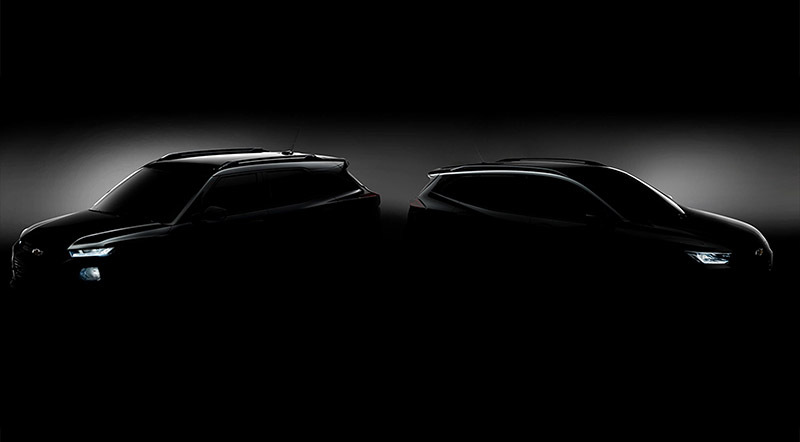 Chevrolet has released teaser images of both. The American automaker Chevrolet is planning to revive the Trailblazer model by dumping the Trax, which isn’t doing well in various markets. It will take the shape of a compact crossover SUV (unlike the current offering) that will hit the showrooms by the fall of this year as a 2020 model. Chevrolet has released a teaser image before its launch at the Shanghai Auto Show 2019. For the teaser image, we can see it takes its cues from the bigger Blazer. Although it is not clear what platform Chevy will use for this compact SUV, we expect it to be based on GM’s next-generation modular design for unibody crossovers, called VSS-S.
GM is working on four modular platforms, which will underpin its vehicles in the next 6 years or so. These include VSS-S, which stands for “vehicle strategy sets”, VSS-F for front-wheel-drive cars, VSS-R for rear-wheel-drive cars, and VSS-T for body-on-frame vehicles. Another teaser revealed by Chevrolet shows the Tracker crossover. Although we do not know much about it, rumors suggest it will be for emerging markets, so we might not be seeing it in the UAE. For more details, wait for the Shanghai Auto Show 2019, which begins April 16.